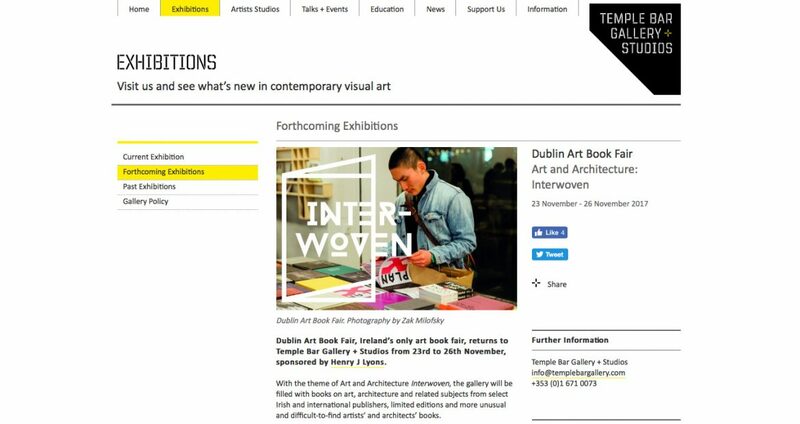 CODEX, GUIDING LIGHT and BLIND FAITH books have been selected for inclusion in the Dublin Art Book Fair. The books will be available with a free A5 print. The exhibition and event takes place at the Temple Bar Gallery and Studios from 23rd – 26th November. The full programme of activities can be seen here. Copyright © 2019 Adam Geary. All Rights Reserved.